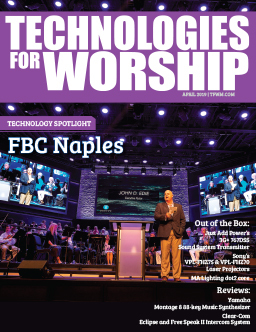 As I discussed in the April ’06 issue of TFWM, churches of varying faiths and denominations around the world are adopting technology at a record pace. The exciting mix of lights, sound and multimedia is redefining the traditional worship service and attracting millions of new churchgoers. 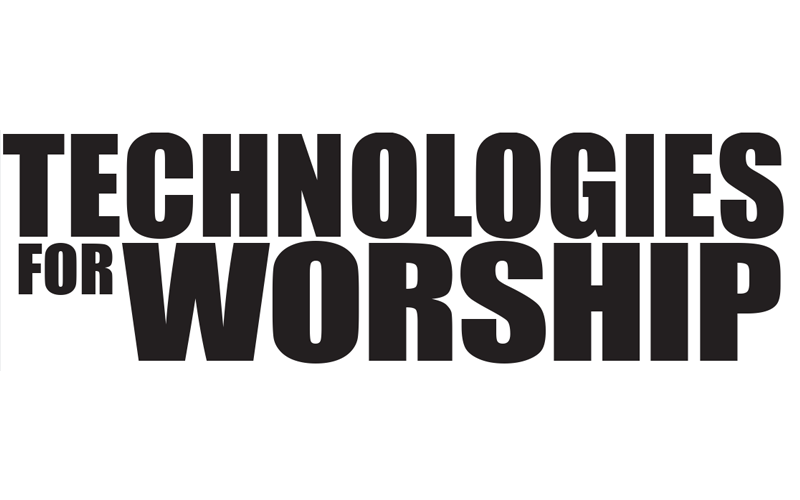 Audio, video, lighting, climate control, security and many other systems used throughout worship centers can be monitored, operated and automated from one central location, making control systems one of the fastest growing and most used assets installed in today’s churches. Control systems feature extremely simple-to-operate touch panel user interfaces, which allow this technology to be harnessed and managed, creating systems that are so easy to use, they can be operated by volunteer staff after just a few minutes of training. While control technology makes device operations tremendously easy, church staffers are often challenged on the most effective ways to keep these devices maintained, secure and available for use whenever they are needed to support the congregation. Many church administrators may be unaware that highly-intelligent resource management systems are now available that can monitor and manage devices and even schedule rooms. If you have ever had a service disrupted by an equipment malfunction, you’ll appreciate the power of a resource management system. These unique solutions increase the reliability and productivity of a church’s valuable equipment investment. Most RMS products can even generate reports to help you schedule equipment maintenance and make critical purchase decisions. A standard feature of most RMS products is the ability to constantly monitor the status of all the equipment connected to the control system in real time. From TVs and projectors to DVD players and PCs, users can instantly determine whether devices are on, off, active, communicating, working properly, or needing maintenance, as well as many other status indicators, specific to each device. Of course, every device that needs to be monitored must be connected to the control system. But once it’s connected, keeping track of it is a breeze. Status indicators can be very helpful because they allow users to not only keep an eye on current status, but also to prepare them to solve technical issues before they occur. For example, by monitoring the sanctuary’s video projector, the user can track exactly how many lamp hours have elapsed, which allows them to predict when a lamp might burn out. Wouldn’t replacing the lamp during regular scheduled system maintenance be a better option than taking care of it during the service? With an RMS application, administrators can also track how many total hours the DVD player has been used, enabling them to better predict the best time to clean the drive. Is there anything worse than a DVD or CD skipping uncontrollably during a special ceremony? This is just another one of the many ways that RMS solutions can proactively support your congregation and services. Typically, RMS device information is accessed via a customizable Web-based user console, which allows multiple users to set up individual user consoles based on personal preferences. 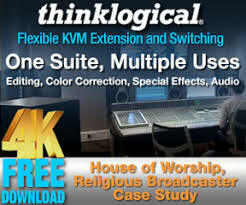 This is ideal for churches that have several individuals that might need administrative access, even simultaneously, to the RMS system. Each time a user logs into the system, their individual user console appears, making resource management easy for them. Only the devices that each user wants to monitor, and only the status indicators they want to see, will be displayed. An intuitive point-and-click interface makes it simple to find what a user is looking for with easy-to-understand text descriptions. Users can quickly retrieve just the information they need without having to sift through devices they don’t typically use and status information they don’t need. Accessing RMS solutions is typically a simple process that can be accomplished from any computer (MAC or PC) on the church campus or from any other location – even worldwide – via the Internet. So whether an administrator is doing paperwork down the hall or at an international conference in Prague, with just a few keystrokes, he or she can account for every device connected to the system and find out what the temperature is in the main sanctuary. Another great feature of most RMS solutions is instant notification. No matter where users are or what they’re doing, RMS is always working because it watches over the system. Whether a projection screen is still in the “down” position, the house amplifier has blown a fuse or the main air conditioning filter needs changing, RMS can notify users by text message, email, page, or all three simultaneously, to ensure the ultimate in coverage. This feature saves churches both time and money by eliminating the need to hire a person to regularly and continually monitor system status, as well as freeing administrators from this duty as well. It’s nice to know that when an issue arises, RMS systems will know about it first and notify you immediately. To keep things simple, with most RMS products, administrators can also choose to monitor devices by assigning them to different notification parameters, which can then be sorted into notification groups based on device type, room, group or other parameters. Examples of notification groups might include maintenance, communications, scheduling and security, just to name a few. Many churches would like to keep their doors unlocked throughout the day, and even around-the-clock to allow members and visitors to worship whenever they wish. But unfortunately because of the rise in asset thefts, many worship centers are being forced to lock their doors and install expensive security systems. As technology becomes a prevalent part of the modern service, equipment costs are increasing, making virtual asset security a smart and relatively inexpensive solution. Once again, RMS systems are there to help. In addition to keeping an eye on device status, RMS will notify administrators immediately when a device has been unplugged or removed from the system, alerting them to a possible theft. This information will be displayed on the user console as well as instant notification, should the user request it. Additionally, RMS safeguards the system at all times from unauthorized access to administrative functions such as password resets or other attempts to bypass system security. No matter how large or how small the device, or where it’s located throughout the campus, you’ll always know its location when connected to an RMS-managed system. An added and extremely handy organizational function of many RMS solutions allows users to reserve and schedule rooms and support devices throughout the church campus for services, ceremonies, appointments, meetings, classes or any other event. Reservation and event details can easily be checked from any control system touch panel or PC. But for the ultimate in convenience, this information can also be displayed by default on touch panels located outside each room. From just a glance, a room’s daily, weekly or monthly availability is displayed. From the room touch panel, users can also reserve the room and schedule the projector, DVD player or other devices they need to be up and running. They can also set up the room to play music to welcome attendees as they arrive. In addition to direct RMS scheduling, most RMS products can integrate with many scheduling software applications, including Microsoft Outlook/Exchange®, GroupWise® and Lotus Notes. Most RMS solutions can support the language needs of several users. Users need only select their default home language when initially setting up their user consoles. This is a valuable feature, making RMS the choice for diverse churches that may have several administrators speaking different languages. Additionally, the date and time are automatically localized based on the user’s setting. No matter what the size or complexity of a church’s control system, a resource management system can be a big help to administrators in maintaining, managing, securing and scheduling system devices and rooms throughout a church campus. In most applications, resource management software more than pays for itself in supporting the congregation and fueling its growth. Talk to your technology integrator about resource management software options for your church and find out what a difference RMS can make in simplifying device management.